Redeeming your savings at Agoda can be confusing. 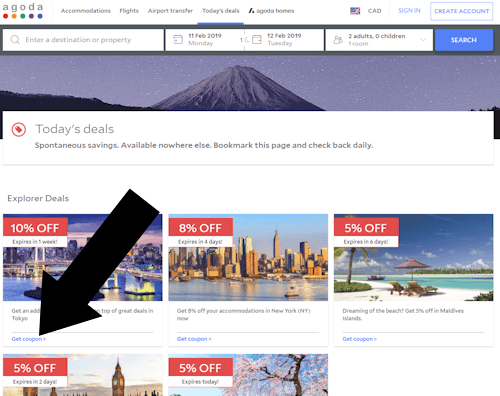 Many sites offer deals for this travel site, but when you try and use a coupon, there is no obvious way to do so. Below we will show you exactly how to redeem your coupons and answer the question “How redeem my code on Agoda?” as simply as possible. Need a Agoda coupon code? The best place to look is Agoda itself. Use the link in Step 1. There is no opportunity to enter a promotional code on the mobile version of AGODA. To redeem a coupon code on AGODA, you must use the desktop site. This tutorial was last verified on Apr 15, 2019 @ 8:03 pm.